It’s been a steep upward trajectory of success for the 17 year-old, who only started training three years ago. Rory Leonard’s decision to swap football boots for track and cross country spikes in 2015 has proved to be a wise one. Preferring the environment of athletics to that of football, he found his new training ground to be more supportive. The Morpeth Harrier’s rise to the top has been stratospheric, particularly since joining forces with his dad, Tony, himself a former British international. To say Leonard junior’s Inter-Counties win in March was an improvement on his previous outing at Loughborough’s Prestwold Park would be a significant understatement. He finished 45th in 2017. 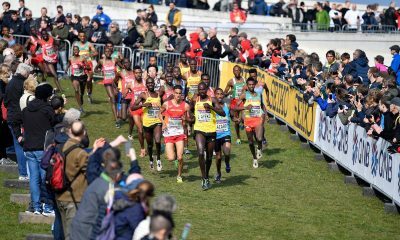 “Winning the Inter Counties was huge for me, it gave me all the confidence I needed to race at a high level,” he says with a real sense of conviction. 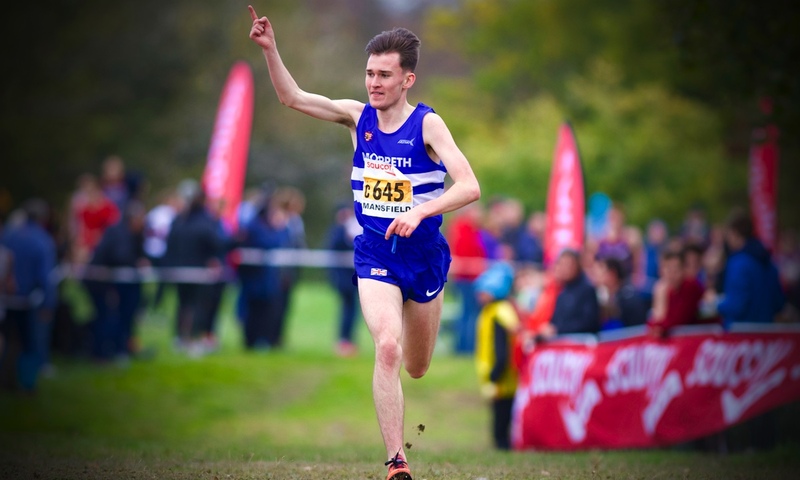 The 2017/18 U17 British Athletics Cross Challenge title holder is clear who he needs to acknowledge for his impressive step up to elite athletics. “I credit my dad 100% for my breakthrough,” he asserts. “He started coaching me last September. I hadn’t really been taking training seriously before that and didn’t have a strict programme. “My training has changed vastly since my dad took over. We did some serious speed work sessions in the summer and I was running times I wouldn’t have dreamed of running a year prior. “My dad was coached by some of the greatest in athletics, which helps massively with how he coaches me. The training programmes he sets me are influenced by his own training set for him by his previous coaches, who included the likes of John Anderson, John McDonnell, Gorden Surtees and Norman Poole. The teenager is blessed with not one but two former athletes for parents who double up as running advisors. Alongside coaching from dad Tony – who boasts PBs of 8:04.92, 13:36, 23:48 and 28:28 for 3000m, 5km, 5M and 10km – he receives advice from his mum too. Sharon Leonard was a top class cross country runner in the 1980s, earning an English Schools silver medal before heading Stateside on an athletics scholarship to the University of Arkansas. Next year the Northumberland Schools Cross Country champion will take up a track and cross country scholarship at that same university both his parents attended, and he couldn’t be happier with his choice. “I went through the whole recruiting process and met some amazing people on my route to deciding where I wanted to end up,” he explains. “In the end that place was Arkansas! 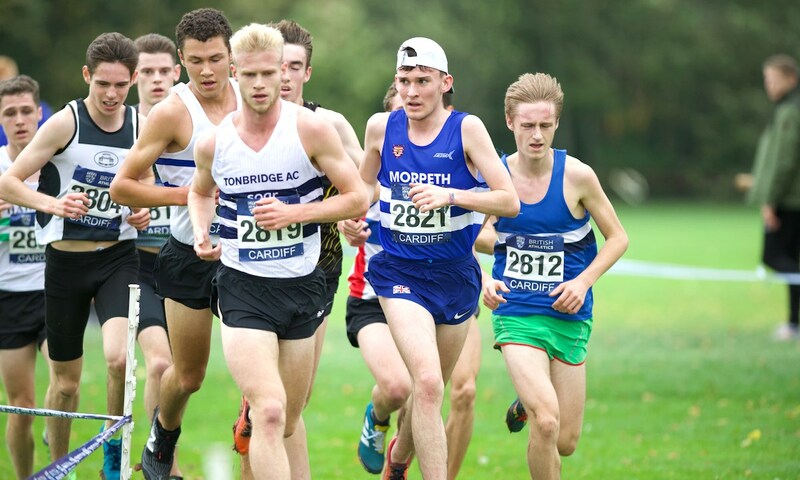 The final year Psychology, Business and English Language A Level student is keen to get the most out of his remaining time competing in the UK, though. 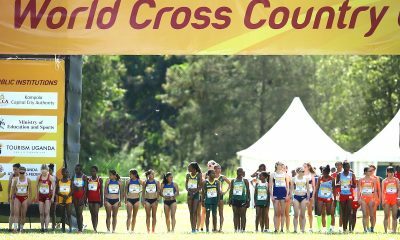 “I’ll definitely be racing the Liverpool Cross Challenge this weekend, and hope to earn a place in the GB team to compete at the European Junior Cross Country Championships in Tilburg,” he says. 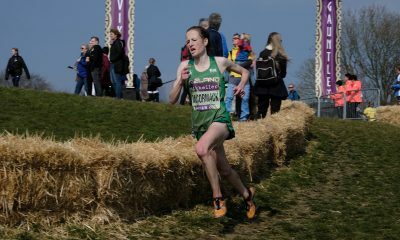 “Then I’d love to compete at the Great Stirling XCountry in January. The youngster has certainly proved his potential on the country so far this season. 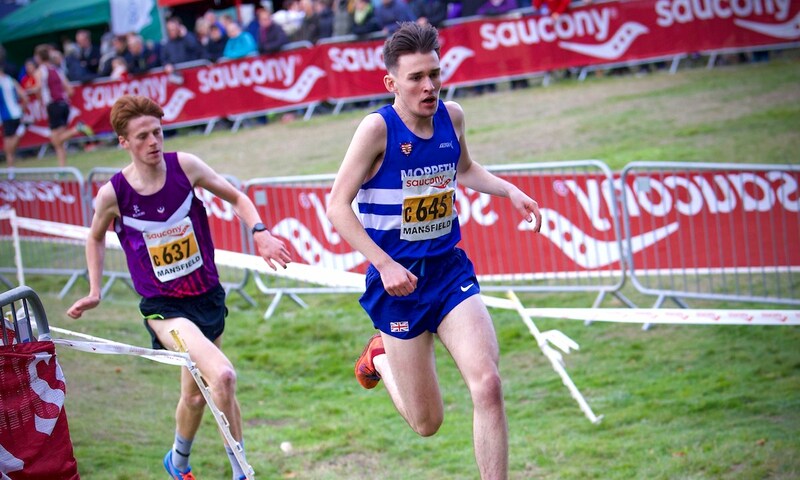 In addition to his Inter Counties win, the county schools title and victory at the Northern Counties championships, Leonard ran the second quickest leg at the recent English National Relay Championships at Mansfield. 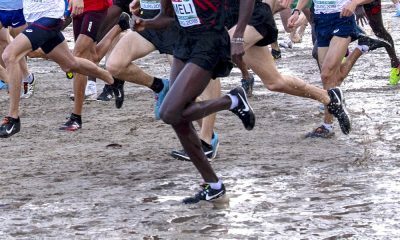 A week later he headed to Spain to run for England in the Cross de Atapuerca in Burgos, where he earned himself a silver medal. It wasn’t the first time Leonard had competed on the international stage. 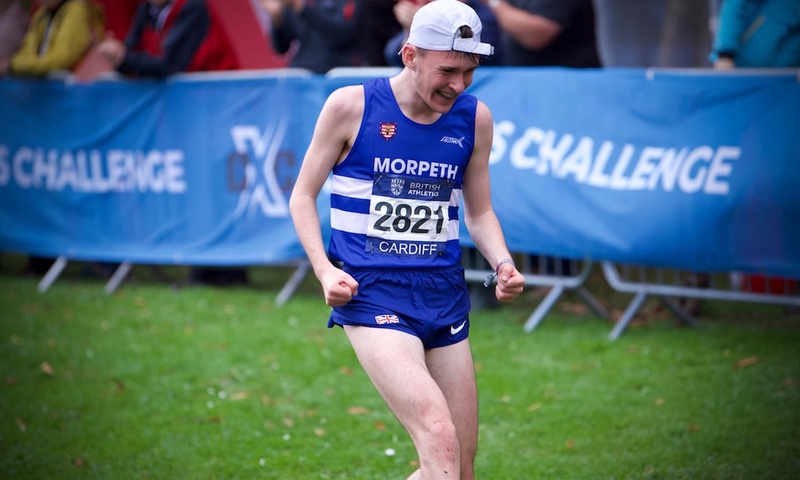 Proving his talents are not limited to the grind of the country, the Morpeth Harrier bounced back from disappointment at the U20 English track championships – where he was tripped in the 3000m – to earn selection for the U18 European Championships in Gyor, Hungary. His 8:18.80 PB from May’s Loughborough International meant he had already set out his stall over the distance. The fact he was dissatisfied with a ninth place on the European stage pays testament to the teen’s unbridled ambition. The fact his ‘career’ in athletics is only just starting is an exciting prospect for the future of British endurance. It is also reassuring to know that the future is being guided by a great from the past in the form of Rory’s dad and coach, Tony. The pair have a close working relationship that is clearly paying off. “Almost all of my training is done by myself with my dad timing me,” he reveals. “That includes hard sessions and easy runs. “I live in a rural area in Rothbury, so I’m not short of off-road trails and road loops for sessions that will usually include a good amount of climbing. “There’s a great 1km loop on the grass by the river, which we tend to use for longer sessions for lower impact. I usually wear flats for these unless it’s too wet. “Most of my workouts are done on hilly grass or road routes during the winter as my dad believes hill work is essential. It builds the perfect amount of strength to then build speed on. Essentially that’s the most important thing! While Leonard admits he enjoys the solitude of solo training – “it allows me to get used to hitting times without having others around me” – he does sometimes train with his Morpeth club mates when it fits. “Occasionally I’ll go down to the club to train with Mike Bateman’s group as he does some great sessions in Morpeth,” he says. “It’s important to train with a group sometimes as you feel less isolated. Interestingly Leonard shares Aldershot, Farnham & District’s Richard Allen’s disinterest in wearing a watch during sessions, preferring to run to feel. “I don’t want to get into a watch mentality,” he explains. “Not wearing one allows me to get used to feeling the pace I’m running at and knowing how fast I’m moving. “If I’m set a session where I need to run 15×400 off 90 seconds in 62-63s, I can do that without having to rely on my watch to see what pace I’m working with. Due largely to the fact he doesn’t wear a watch in training, his average week’s running log features the description ‘about’ quite a bit! Sunday is a traditional long run day for the 3:50.14 1500m athlete, when he covers about 12 hilly miles. He completes a road circuit session of about 1200m reps with hills on Mondays, with two welcome short easy runs on Tuesdays. The Northern ace grinds out another hard session, this time on grass, on Wednesdays, with two more easy runs on Thursday. Friday sees the teen complete just one easy run followed by a Saturday sand dune hill session or steep road hill efforts, covering 70m of elevation.